Please find below a selection of personally inspected holiday cottages in Castleton, North Yorkshire. If you are looking for self catering cottages to rent in Castleton, Derbsyshire, please click here. 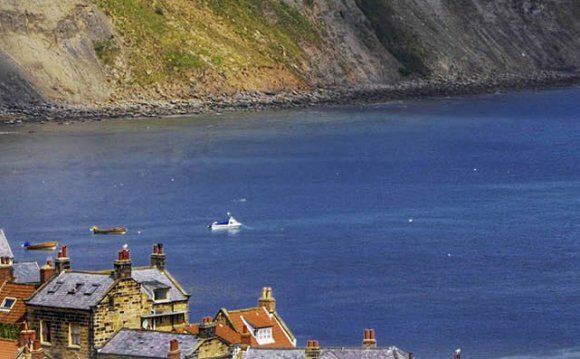 Get away to North Yorkshire on your next holiday with a cottage rental in Castleton. Situated on the picturesque River Esk, a Castleton holiday cottage is the perfect base for a peaceful North Yorkshire break. Think morning walks across purple heathland, hearty lunches in fire-warmed country pubs, and peaceful cycle rides down quiet country lanes on your Castleton cottage holiday. As one of the few villages situated in the North York Moors National Park itself, you can look forward to beautiful views and plenty of accessible outdoor pursuits from the front door of your Castleton holiday rental. Thanks to its location in the heart of the North York Moors, Castleton is the perfect base for any type of Yorkshire getaway. Whether you want to explore the surrounding country in the walking boots or visit popular North Yorkshire towns and attractions like Whitby, Goathland and Dalby Forest, a Castleton holiday cottage is the place for you. Yesteryear awaits on the North Yorkshire Moors Railway. Departing regularly from stations along the Esk Valley, this magical line traverses some of Yorkshire's prettiest landscapes, stopping off at the beautiful villages of Levisham, Newton Dale and Grosmont along the route. Or perhaps you'd prefer a daytrip to Pickering, an ancient market town on the fringes of the Moors. With its collection of independent shops and eateries, as well as its popular visitor attractions which include Pickering Castle and Beck Isle Museum, Pickering provides a fascinating day out for all the family. Are you convinced that a holiday cottage in Castleton is for you? Then choose your favourite from the collection below, and look forward to an invigorating cottage holiday in North Yorkshire.